Take steps to protect your children from potential hazards as no home can be considered 100 percent safe. In young children and babies the sense of fear is still developing and they may not be able to differentiate a potentially hazardous knife from a toy. It is very important not to leave a child alone while engaged in playing or engrossed in other activities at home or outside. Child-proofing your home from potential hazards is a must, especially if your family members include a young child. WHO reports that nearly 90% of the injuries to children are the result of unintentional or accidental incidents. Every year 830,000 die from hazards (nearly 2300 each day). Many of the lives could have been saved had special care been taken to identify and remove these potential hazards. A child may try climbing out of the crib and suffer a fall. The crib railing should be of sufficient height to deter him. He may even try piling up the pillows and toys to do it. It will much better to have the crib as sleep space only. Sleeping on stomach on a pillow may suffocate a child. Most of the choking incidences happen to smaller children due to food choking their airway. Toys, button batteries, balloons, marbles, small balls, caps of bottles, magnets, popcorn, whole grapes, coins, all nuts, household items and food can be potential choking hazards in our homes. When they are eating keep a close watch and ask them to chew the food well and then swallow. They should eat in a sitting position. Very sticky food can potentially choke. Suffocation may happens in youngsters in cribs and beds. Pillows are potential suffocation hazards. The outer and inner chords of window blinds may strangle. Cords and ropes are potential hazards and must be out of reach for them. Water means fun and play for most of the youngsters. However a small child can drown in a few centimeters of water in a bath-tub or a bucket at home. 1-4 year old are the most vulnerable. Globally 480 youngsters die from drowning every day. Emptying all water containers is one solution. Having the toilet seat securely covered is a way of preventing the potential hazard. If you have a private swimming pool at home having a safety barrier around it will reduce the hazard. Children are always curious and may try to touch potential burn and scald hazards like heaters, hot water pipes, vessels and cups containing hot beverages, kerosene stoves, lanterns, open flames, lighted candles and hot electric appliances. Older ones trying to play with fireworks may suffer burns. Playing with lighters, matches and open flames had caused many fire accidents at many homes. Installation of smoke and fire detecting alarm and maintaining it can prevent many potential home fire accidents. Care must be taken to keep all inflammable and electric equipments out of reach of youngsters. Young children try to climb on to chairs, book-cases, tables and other furniture. If the furniture is not secured well it may get toppled easily. Heavy furniture can lose its stability when its doors or drawers are open. Falls are the leading cause of brain injuries in them. Forearm fractures also are caused in many of them due to falling from a height. Falling down the stairs is another common incidence in homes. Installing secure gates to stairs and installing widow guards can reduce this potential hazard. Potential kitchen hazards like knives, glass items and plastic bags must be kept out of reach of youngsters at home. Cover electrical outlets at home to prevent shocks and burns. Washing machines are also potential safety hazards and youngsters may injure themselves while the machine is running. Exercise equipment at home like treadmills can be potentially hazardous. Our homes have potential poison hazards like, medicines in tablet and liquid forms, detergents, disinfectants, insecticides, rodenticides, fuel oil, paraffin oil, bleach, and poisonous plants. We have to keep them out of reach of youngsters under lock. Medications contribute up to one third of the poisoning cases. Install latches on any cabinet or drawer that contain potential hazards. Children are potentially vulnerable to dog attacks as a result of their size. Bites to the head and neck are common in youngsters and as their face is usually close to that of the dog. No matter how lovable are your pets they are animals and can become health hazards as they may spread parasites and infection. It is necessary to keep them clean and free from diseases. Sometimes they may physically injure a youngster. It is very necessary to avoid direct contact with a pet and to supervise closely if your child and pet are together at home. > Amla fruit and its juice have immense nutritional value and many health benefits. Amla aka Indian gooseberry, belongs to Phyllanthaceae family and species Phyllanthus emblica (syn. Emblica officinalis). It is a deciduous medium size tree with edible fruit. The fruit are hard and spherical in shape with six vertical stripes or furrows. The unripe fruit are light green in color whereas ripe fruit are light greenish yellow. 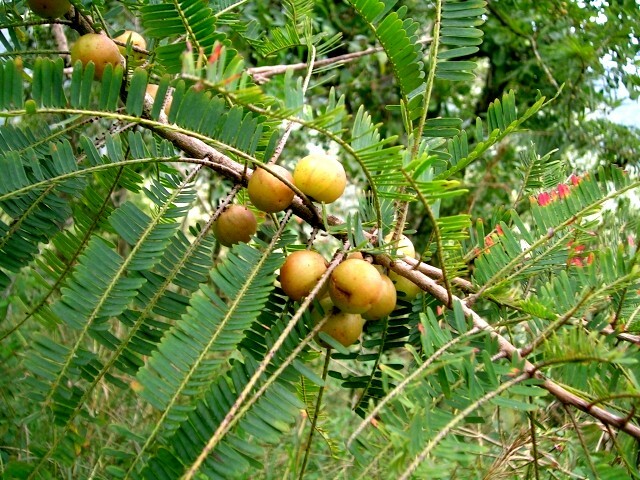 Amla fruit is fibrous and tastes slightly bitter, astringent and very sour. 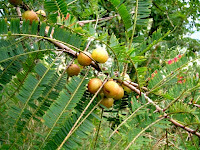 Amla is consumed as such or its juice, powder or pickle is prepared and consumed. Health benefits of amla fruit are in its juice which is very rich in vitamin C (ascorbic acid), and antioxidants like ellagitannins, polyphenols, ellagic acid, gallic acid and flavonoids. The presence of these contribute to its antimicrobial, antiviral, cholesterol lowering, anti-inflammatory, antidiabetic, hypoglycemic, hypotriglyceridemic and anticarcinogenic health benefits. To reap the full health benefits of amla fruit it must be eaten raw or its juice must be consumed. Department of Microbiology, University of Karachi, Pakistan PMID: 17337425). Saini A et al (Department of Microbiology, Panjab University, Chandigarh, India / PMID: 19001683) reported that health benefits of long term feeding of amla extract is protection against respiratory tract infection induced by Klebsiella pneumoniae. Oral fungal infections by Candida albicans and Herpes Simplex Virus (HSV) infections have been treated successfully with amla fruit juice. Research results have confirmed that aqueous fruit extract (juice) of P. emblica has a sinificant hypoglycemic activity. 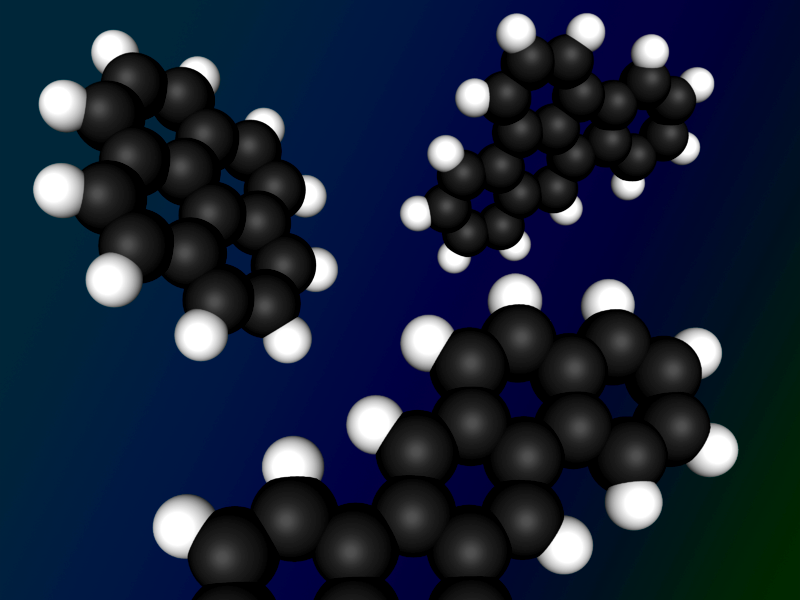 This antidiabetic activity further contributes to hypotriglyceridemic effects. (Shamim A. Qureshi, Warda Asad and Viqar Sultana, 2009. The Effect of Phyllantus emblica Linn on Type - II Diabetes, Triglycerides and Liver - Specific Enzyme. Pakistan Journal of Nutrition, 8: 125-128). Considering the health benefits, Amla fruit is also used in hair care products and its juice is recommended in many beauty recipes. Listening to loud music can cause auditory system damage and result in hearing loss. Hearing loss is becoming common, especially, in teenagers and young adults affecting their social development, communication skills, learning process, educational achievements and sports achievements. Going to concerts and disco pubs, listening to loud music from home music systems or listening loud music from digital music players and devices with headphones or ear buds is potentially capable of causing hearing loss unless some preventive steps are taken. Josef Shargorodsky, MD, MPH et al (JAMA. 2010;304(7):772-778. doi:10.1001/jama.2010.1124) made a comparative study of prevalence of hearing loss in young Americans and found that there was nearly a 30% increase in hearing loss in 2005-2006 when compared to the results of the Third National Health and Nutrition Examination Survey (NHANES III), 1988-1994. NHANES III conducted between 1988-1994 disclosed the fact that 14.9% US children between the age group of 6 to 19 years had hearing loss. Image of inner ear - Hair cells in the inner ear The 2005-2006 study showed a significant increase of this hearing loss to 19.5% of young persons, which when extrapolated to nation's 6-19 year old youngsters amounts to a staggering 6.5 millions. According to NIDCD, approximately 15% of American of the age group 20-69 years, numbering up to 26 million Americans have high frequency hearing loss due to exposure to high Decibel sounds during occupation and leisure activities. It is predicted that exposure to loud music may cause hearing loss in more than 50 million Americans by the year 2050. Hearing is a series of events in which air-born sound waves are translated into vibrations by ear drum. 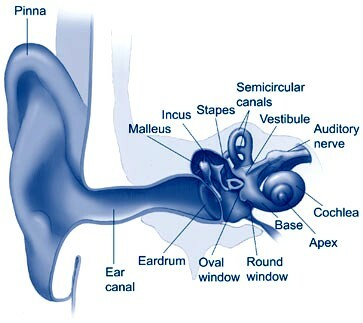 These vibrations are picked up and amplified by the tiny middle ear bones malleus, incus, and stapes. These bones pass on the vibration to fluid filled inner ear, cochlea, in which hair cells process these vibrations into electrical signals by release of certain chemicals. These electrical signals are carried to the brain by the auditory nerve for further processing, recognition and understanding. Loud sounds, exceeding 85 decibels, destroy this auditory mechanism affecting the hair cells responsible for generating 'hearing' electrical signals. As the technologies have improved and longer battery life, louder volume range and greater music storage is available in personal listening devices, today's youngsters are listening to loud music for longer periods. One study revealed that 25% of people in teens and early twenties listen to music at maximum levels, inviting hearing problems and loss. 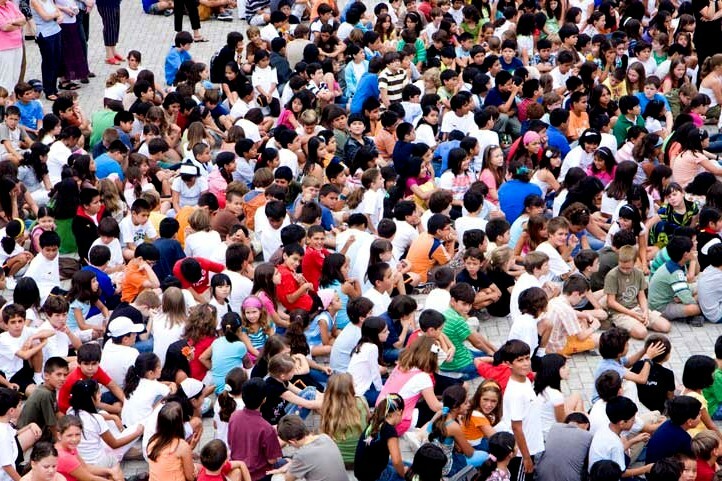 Very young children are again a very vulnerable group as they themselves cannot protect their hearing from loud music. They remain passive sufferers of this noise pollution by elders. We have to wear foam ear plugs or ear muffs when we attend concerts. We have to use lower sound volume range while listening on earphones and ear buds as loud settings of most of the music devices are too loud and can cause hearing impairment. During high noise exposure free radicals are produced which are responsible for the impairment to auditory system and hearing loss. It is found that intake of fair amounts of foods containing antioxidants reduces the hearing loss caused by loud music, as they neutralize the free-radicals. Spices are known to exert several health benefits including diabetes control effects. The beneficial physiological effects of spices for diabetes include interim hypoglycemia and long term improved glucose tolerance. Though spices are used to add taste and flavor to food, they have effects over various organ systems of the body contributing to diverse physiological and metabolic outcomes. 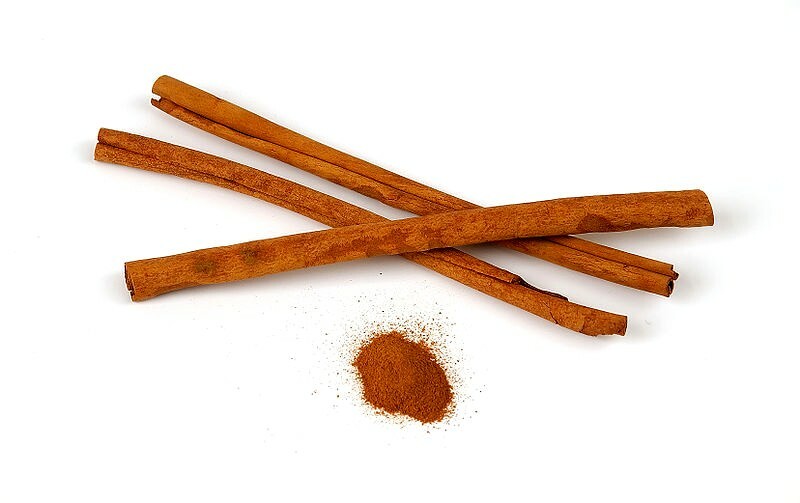 Many animal experiments and clinical trials have given evidence of spices and their extracts giving hypoglycemic effects and a few of the spices are discussed here. In the research studies on possible role of cinnamon in control of plasma glucose levels in diabetes by A Khan et al (Department of Human Nutrition, NWFP Agricultural University, Peshawar 2003), B Mang et al (Nutrition Physiology and Human Nutrition Unit, Institute of Food Science, University of Hannover 2006) and S Kirkham et al (Faculty of Health & Human Sciences, Thames Valley University, Brentford), it was proved that cinnamon possesses antihyperglycemic properties and it can control postprandial blood glucose levels in diabetes. These spices can be added in powder form in tea, coffee, other healthy drinks or in various preparations of foods. Fenugreek seeds are used in traditional Indian medicine for treatment of diabetes. In research studies conducted by A Gupta et al at Jaipur Diabetes Research Centre, it was concluded that fenugreek seeds improves glycemic control and decreases insulin resistance in mild type-2 diabetes. 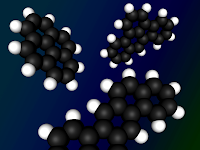 There is also a favourable effect on hypertriglyceridemia. As these spices taste bitter their consumption is a problem. Soaked seeds can be chewed or swallowed. In Indian cuisine fenugreek seeds are added to enhance taste. Garlic has a long history in traditional medicine as a cure for many ailments, including diabetes. Evidence from scientific studies suggest that these spices have antiglycative, antiinflammatory and antioxidative properties. 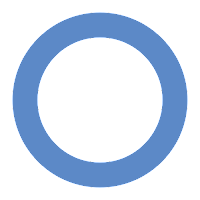 These properties help in prevention of diabetes progress and related complications. Garlic can be used in food preparation. Imad M. Taj Eldin et al, of Department of Pharmacology, Faculty of Pharmacy, University of Gezira, Sudan, in their studies on Allium cepa (red onion) have concluded that crude onion produced blood glucose reducing (hypoglycemic) effects and that it could be used as a dietary supplement in management of type 1 and/or type 2 diabetes mellitus. Ingestion of 100 gms of these spices caused considerable reduction in fasting blood glucose levels in both type 1 and type 2 diabetes patients. Curry leaves are used in Indian cuisine for imparting flavor and aroma. In a study by Palanisamy Arulselvan et al of Department of Biochemistry and Molecular Biology, University of Madras, on rats showed that curry leaves extract had significant hypoglycemic potential and was more effective than glibenclamide, a known drug used in diabetes. In another study by Kesari AN et al of Alternative Therapeutics Unit, Drug Development Division, Medicinal Research Lab, Department of Chemistry, University of Allahabad, similar hypoglycemic benefits were observed when animals with diabetes were fed with these spices. Cumin seeds are traditionally used to add flavor and aroma to food. In animal studies, rats with diabetes fed for six weeks with these spices have showed reduction in blood glucose and body weight. In another study supplementation with these spices was found to be as effective as glibenclamide in reducing blood glucose. Cumin seeds can be taken as such and swallowed with water or can be added in various culinary preparations. Turmeric rhizomes are traditional spices known for their many medicinal uses. Arun N and Nalini N of Department of Biochemistry, Annamalai University, have studied the effects of turmeric and its active principle curcumin on animals with diabetes and have concluded that curcumin was effective in attenuating diabetes mellitus related changes. 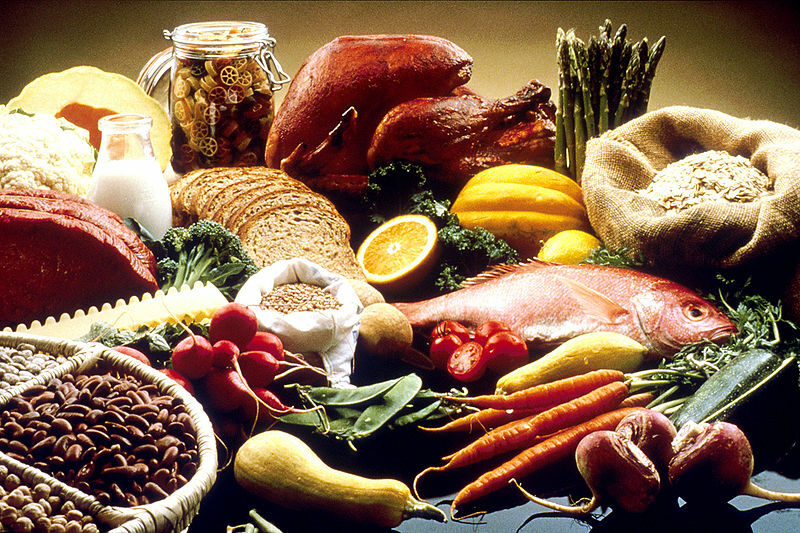 Balanced nutrition in moderation and keeping blood sugar even have been recognized as a cornerstone in the management and control of diabetes mellitus. The judicious addition of the above spices in our diet can ward off diabetes and help in its control. Why some children suffer from allergy to peanut (groundnut)? Peanut allergy is body's immune response to proteins contained in peanut. It is not clearly understood why some children develop allergy while others don't. However it is quite clear that children with certain insidious innate or acquired risk factors develop allergy to peanut. Some children have intolerance to peanut and may develop mild symptoms like stomach ache and indigestion. 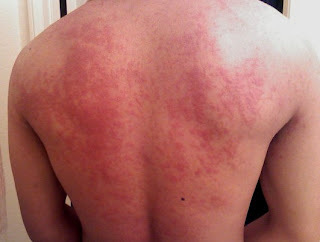 There is no involvement of immune system and this is not considered as true allergy. More than seven proteins in peanuts have been identified to be capable of triggering allergy. The reaction triggered by these proteins is an Immunoglobulin E (IgE)-mediated type I hypersensitivity. Protein specific antibodies form and bind to basophils and mast cells at the high-affinity receptor sites. When the allergens penetrate mucosal barriers IgE present in cells and the allergens cross link. As a result of this preformed allergy mediators undergo degranulation and subsequent cell activation. A variety of chemokines and cytokines are produced bringing in inflammatory cells and contributing to Immunoglobulin E (IgE)-mediated type I hypersensitivity reactions. There is a general increase in prevalence of food allergy all over the world. The first reaction develops in children when they are 14-24 months of age and it usually occurs at home. In hyper sensitized persons even one peanut (containing about 200 mg of protein) can initiate symptoms when ingested. For children with very high degree of sensitivity even traces of this nut can bring about violent reactions. Mild peanut reactions manifests as running nose, stuffy nose, watery eyes, sneezing, hives, itchy rash, eczema, stomach ache or swelling around the mouth and neck. Antihistamines give immediate relief in such situations. Peanut allergy is known to give serious and life threatening reactions. Swelling in mouth, throat, asthma attack may be encountered which may progress to anaphylactic shock in children. This involves hypo tension of blood pressure, difficulty in breathing, choking feeling and loss of consciousness. Unless emergency measures like administration of epinephrine and hospitalization are resorted to, there can be loss of life. There is an opinion that roasting peanut increases the allergens in them. There is also a belief that pregnant women and nursing women when they eat nuts, pass on the allergens to their children making them hypersensitive. Some believe that the present day hygiene and the resultant lower exposure to pathogens makes the learning process of our immune system aberrant and it mistakes certain food proteins as enemies. However there is no clear research evidence supporting the above views. Though it was earlier believed that peanut allergy is life long, yet it was found that 20% of the affected children outgrow it. As the nuts belongs to the legume family, other legumes like soy, peas and beans have similar proteins and they may also have potential to cause allergy in affected children. There is obvious diagnosis of allergy when soon after eating peanut or its products, hypersensitivity reactions develop. But in many instances the reasons of allergy may not be clear for diagnosis. Skin prick test and/or RAST test (radioallergosorbent test) are performed to find out if the patient is hypersensitive to peanut. These tests can be further confirmed by the elimination diet and food challenge test monitored carefully in the medical centers. Research work is going on in genetically engineered peanuts having proteins that do not bind to IgE. Treatment with anti-IgE therapy is being attempted which may help in the log run. Desensitizing affected children with trace doses of allergen has been successfully done. But the process is time consuming and the children have to make frequent visits to the health center. The persons having hypersensitivity to peanut must be advised to carry an epinephrine autoinjector. Further the children prone to allergy must be educated in the method of autoinjector usage. If the patient is young, parents/teachers/care takers must be trained in the use of epinephrine autoinjector. As on date the only proven method to avoid peanut allergy in children is keeping them away from peanut products at homes, schools, restaurants and parties. At every occasion it is essential to find out the ingredients of food products before use by the prone children. Products containing, peanut oil, peanut butter, peanut flour and also labels indicating possibility of contamination with peanut must not be used by children, who have allergy for peanut.